For this jar, I distressed most of it with a green chalk ink. Then stamped a skull and crossbones logo on alternating panels, followed by spiders stamped with glue and covered in black glitter! The Eye of Newt label came from a sticker kit for drinks I found at Target. It was WAY to shiny, so it was wrinkled, distressed and then I took some fire to it! My son was quite fascinated that I was burning my project, lol. But it needed a little more than your average distress ink. Here it is with it's friend the boiling cauldron. And finally here is the entire trio together! I'm super happy with how these turned out! The kits are so simple and Amazing! The kids couldn't resist the excitement of the dry ice for the photo shoot. My son insisted that little apple and then midget apple (they are from a wretched show called Annoying Orange, he is a HUGE fan. I am NOT!) get their opportunities to be photographed in the fog. I thought they were cute and I should share! 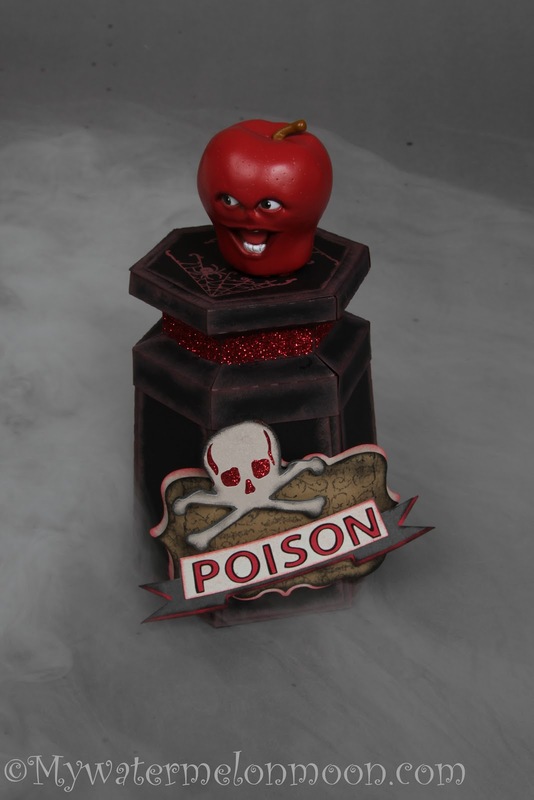 See the poison apple? Lastly, I would like to mention that the super sweet Mr. is my official photographer when I am not too impatient or behind on posts to let him actually take the pictures. He sets up lights and does a lovely job. I am so lucky to have him! You can check out more of his work at www.lindpix.com. What a great addition to the set. Loving the dry ice. WOW!!! This looks amazing and your log looks so yummy. Yes I love watermelons. 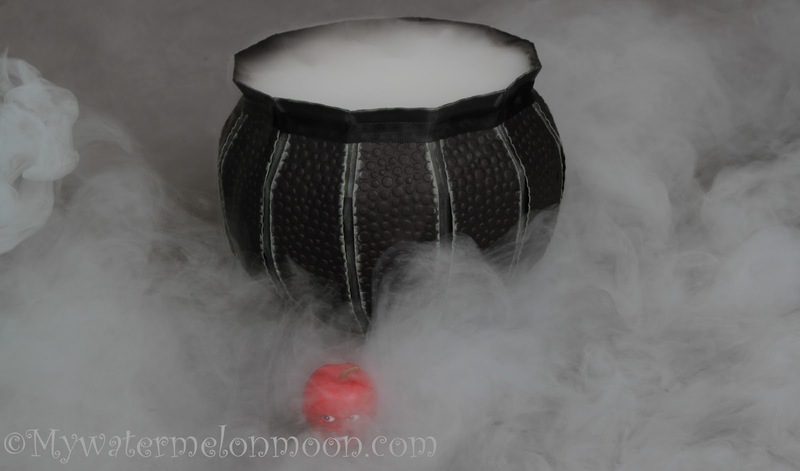 hello there from Friday Blog Hops..woww thats one spooky cauldron. yay!!! and kudos to your photographer for making it look like soo creepy in some witch's den.. LOL great one!! These are awesome! I love that you used dry ice! My 6 year old boy loves Annoying Orange, too. I forbid him from watching it. Ugh! Why does TV have to tempt our kids with such ridiculous shows! Thanks so much for linking up to my first party!! My daughter loves the Annoying Orange show too! These pictures are awesome! Kuddos to you photographer!! Thanks again for linking up. Hope to see you back next week. Thanks so much for sharing this post on Simple & Sweet Fridays. Your spooky trios are amazing! Great ideas for Halloween. Cute! I love the "mist". Thanks for joining us at the Keep Calm & Link Up party this week - see you again soon for the next one! I just love how these all turned out! The dry ice is just awesome! Thanks so much for sharing at Mom On Timeout! Melissa, Congrats! 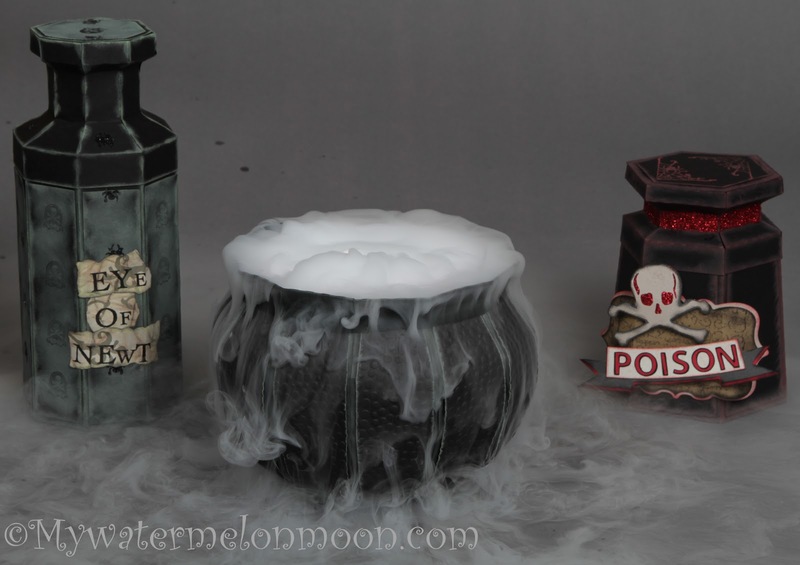 You've been featured on Simple & Sweet Fridays for this creative Spooky Trio. 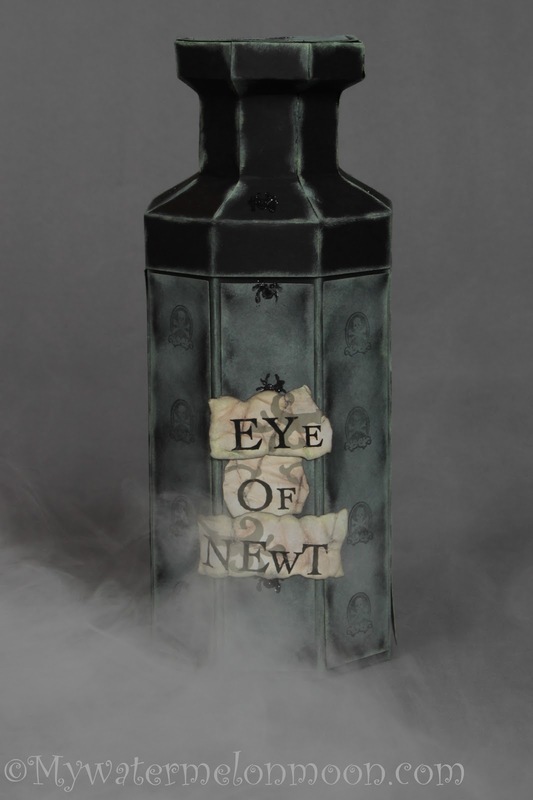 It's a perfect project for Halloween! Don't forget to grab a button and have a great weekend! 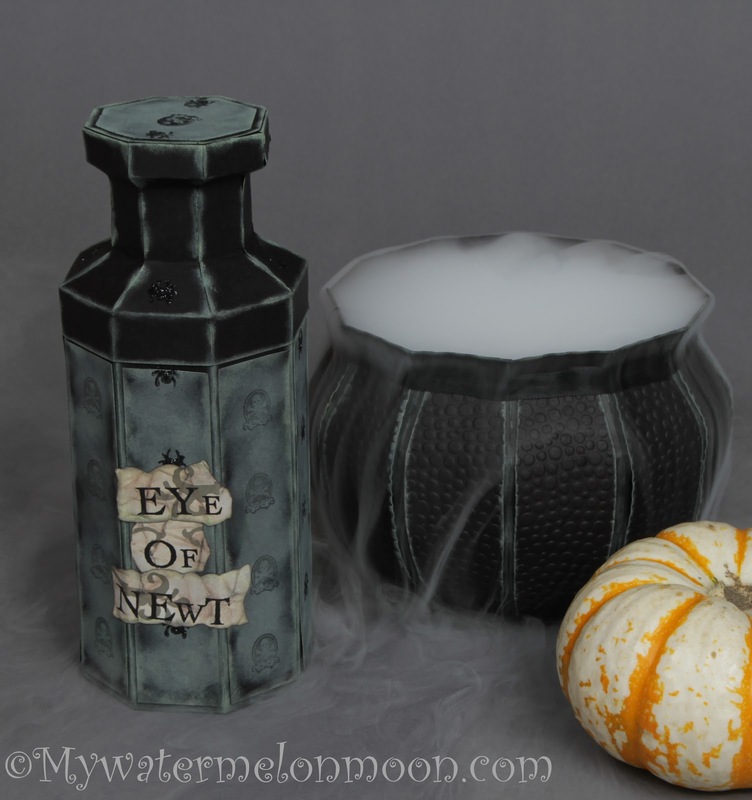 Featured it on the Link Up and Spook On week 2 features as well.. Have a fabulous day!